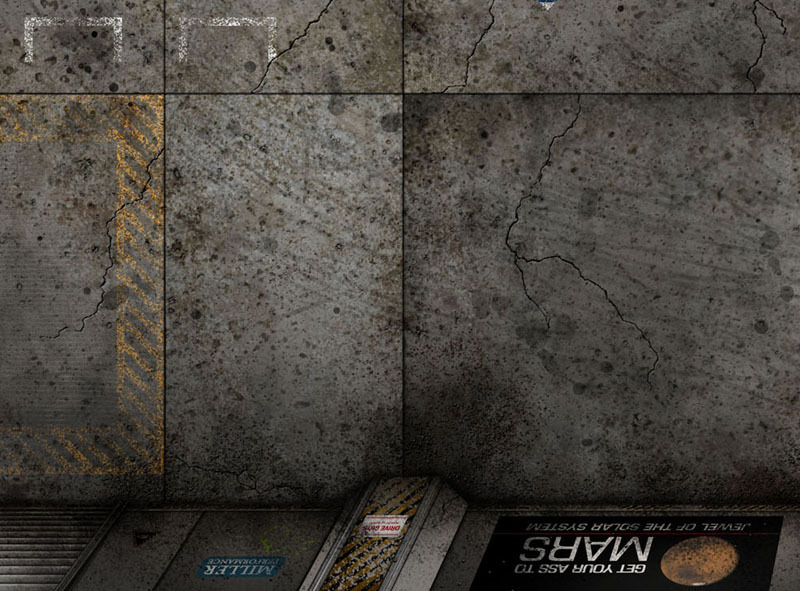 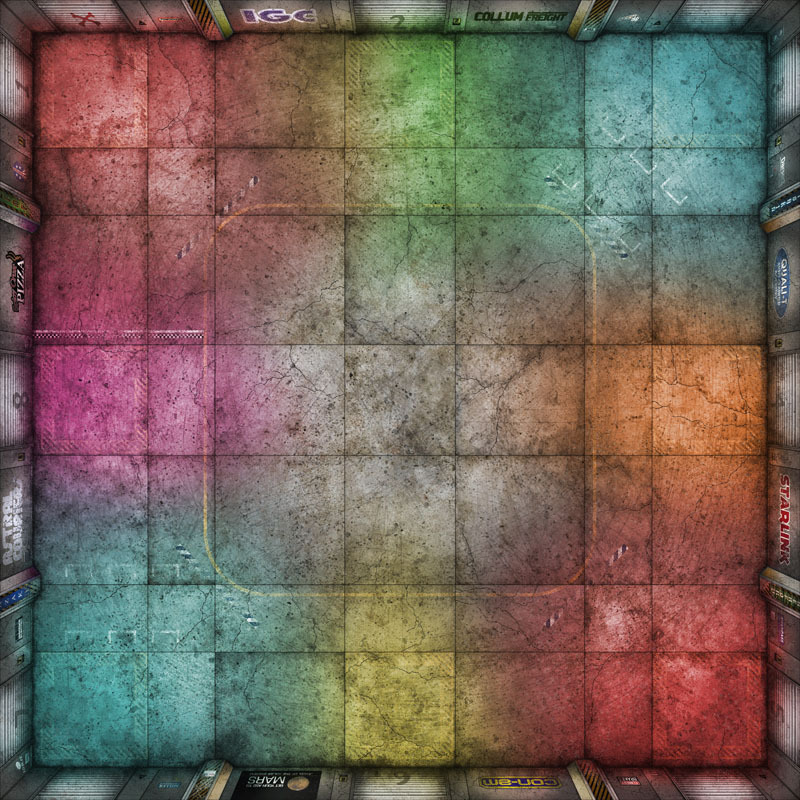 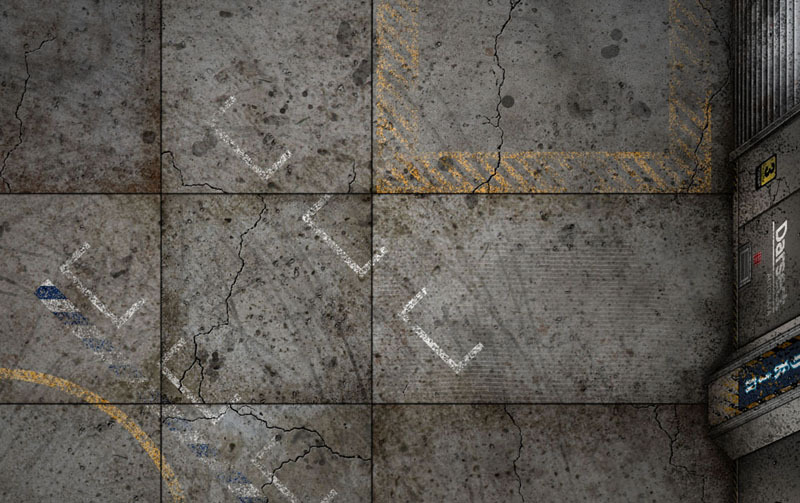 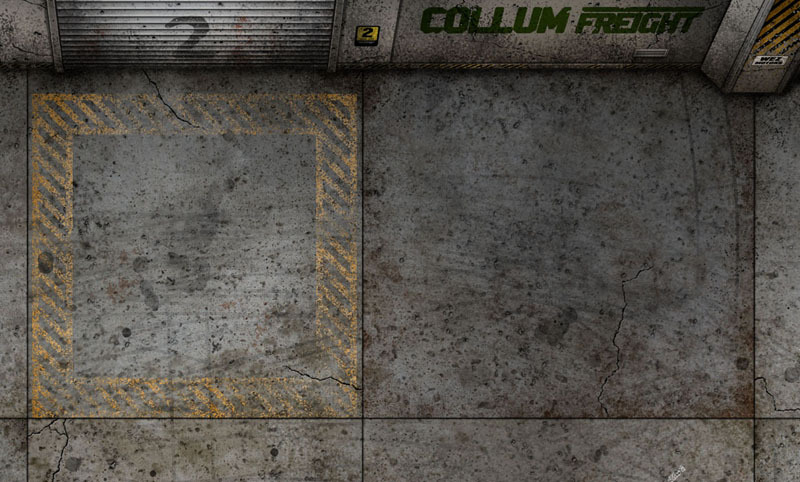 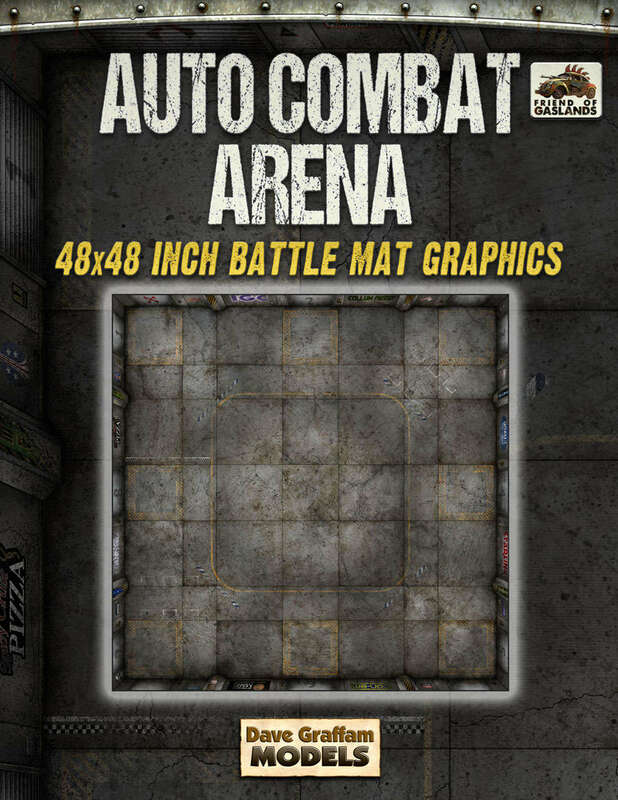 This is a 48x48 inch playmat designed for 1/64 scale die-cast cars and 20mm-25mm wargames when printed at full size. 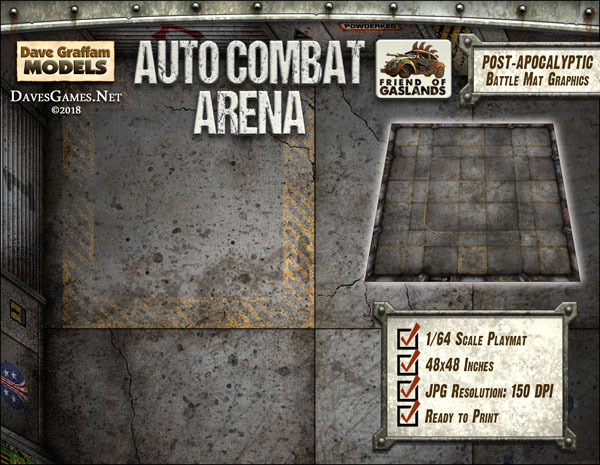 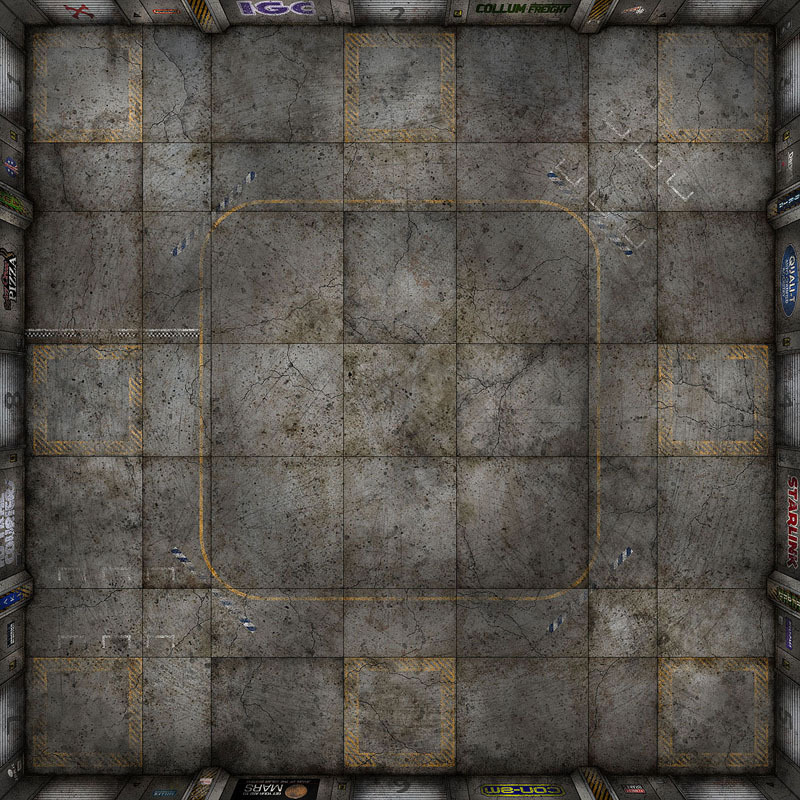 It's compatible with Gaslands as a multi-use auto combat arena, and includes worn-down painted lines to indicate the starting positions and gates for the classic figure-8 death race, as well as a racing track and finish line, and starting positions for up to eight teams for free-for-all battles. 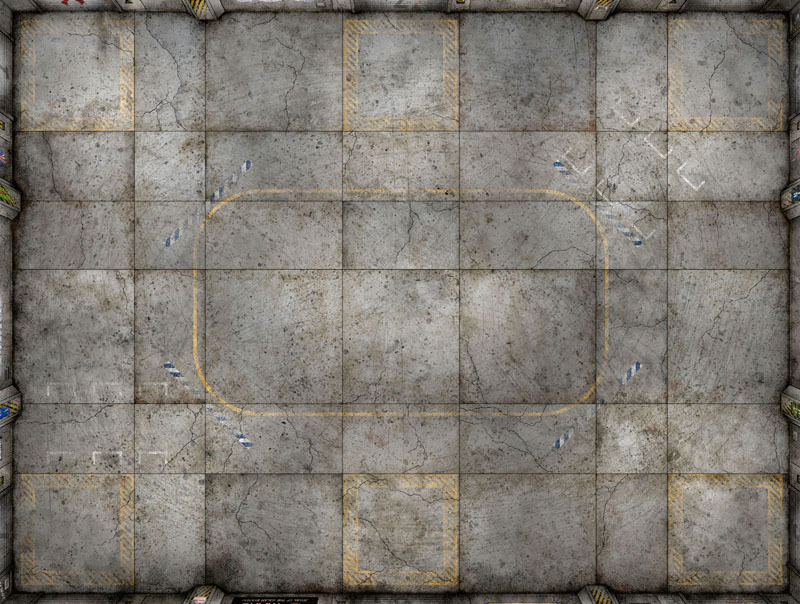 This mat is offered as a 150dpi JPG file, which should be easy for any print shop to accept and work with. 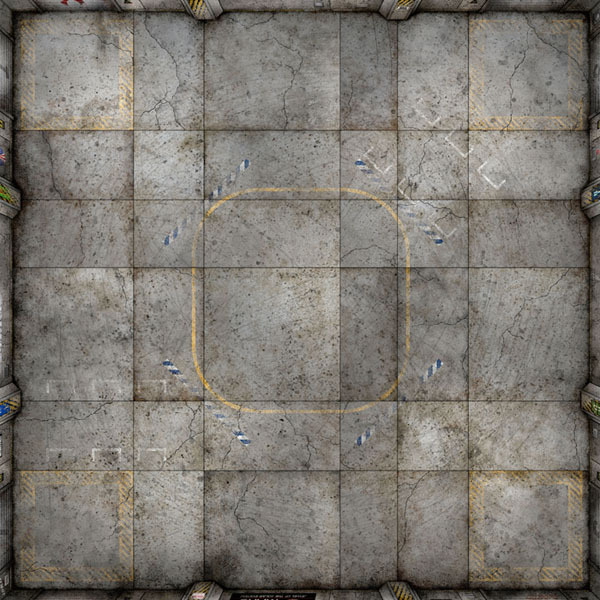 The full playmat measures 49 x 49 inches, which includes a 0.5" bleed on each side. 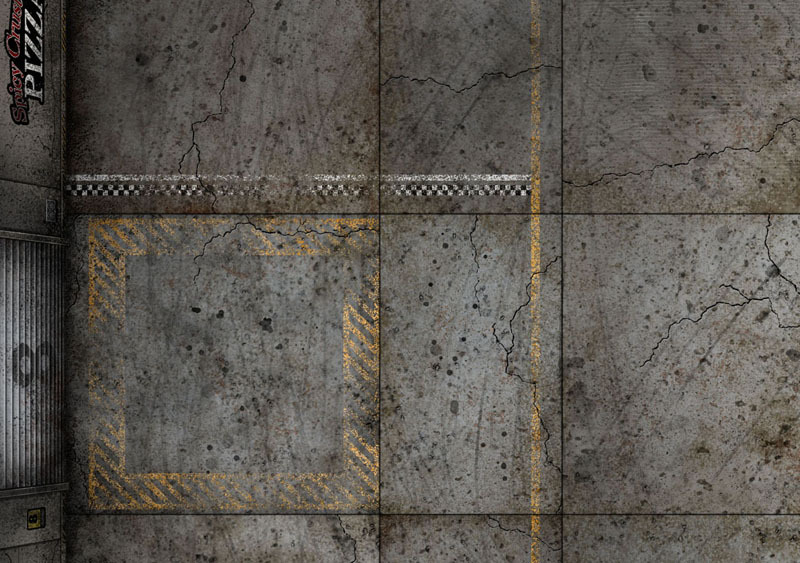 As a bonus, this download includes a 37x49 inch variation and a 37x37 inch variation.